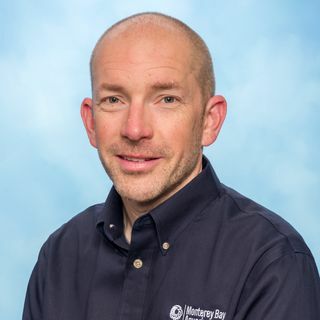 Paul Clarkson oversees all of Monterey Bay Aquarium's husbandry operations and a team of more than 50 biologists. He spearheads the department’s project management process, including the development and installation of rotating special exhibitions and major renovations. Prior to joining the aquarium in 2008, Paul was a part of the Aquarium of the Pacific and the Georgia Aquarium husbandry management teams, playing an integral role in opening the aquariums. He also worked as an aquarist and instructor at the Catalina Island Marine Institute and continued instructing at The Marine Science Consortium Inc., teaching students about marine science and coastal ecology, as well as snorkeling and kayaking. Paul is a graduate of Millersville University of Pennsylvania where he earned a Bachelor of Science degree, focused in marine and environmental science. He is a member of the Regional Aquatics Workshop Advisory Committee, a Professional Fellow of the Association of Zoos and Aquariums (AZA) and is a NAUI-certified rescue diver.